The protesting crowd’s demand “We want capital punishment”. Photo by Arif Hossain Sayeed, used with permission. 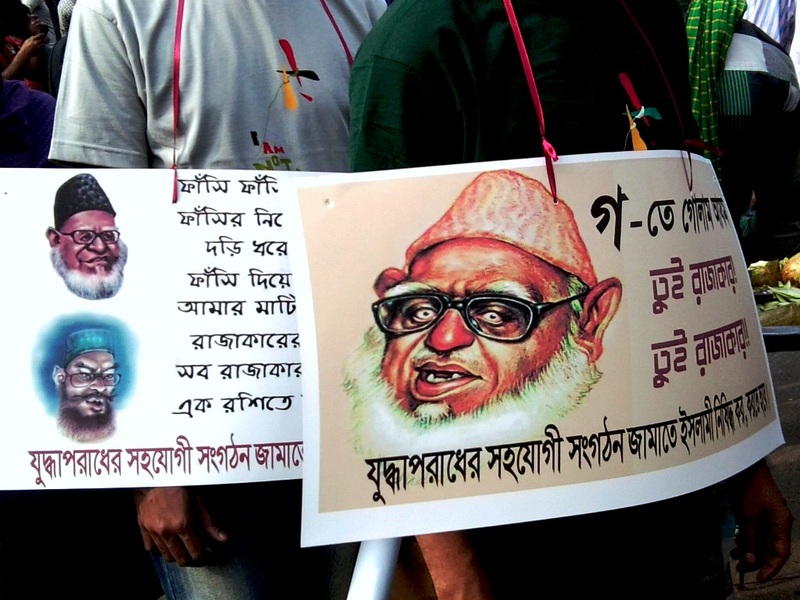 Since the beginning of February, hundreds of thousands of Bangladeshis have been occupying a major intersection called Shahbag in the heart of Dhaka, calling for capital punishment for war crimes committed during the country’s liberation from Pakistan in 1971. But what began as a peaceful civic uprising may be taking a turn in the public’s perception as one that contradicts Islam.